Alois Springer’s interpretations and musical concepts were influenced by his homeland. Geographically, he belongs to the West as well as to the East. He comes from Bohemia – Moravia in the centre of Europe, the home of Gustav Mahler, Anton Dvorak, Friedrich Smetana and Franz Schubert. 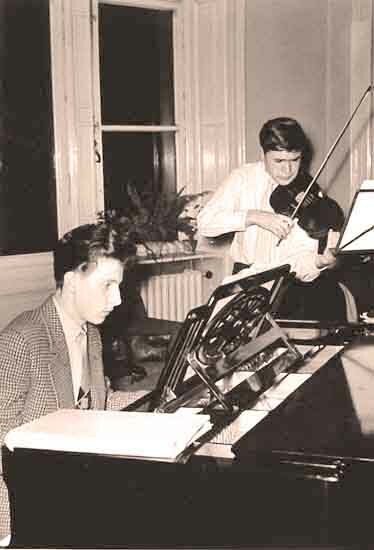 The sensuousness in his interpretations of Dvorak, Mahler, Tschaikovsky and Rachmaninoff not only originates from there, but also from his love for the violin, for strings, their tone, which he claims he can modify, in contrast to the soloists among the wind instruments. 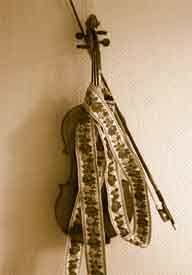 The impressions of his early childhood have endowed Alois Springer’s musical creations with their own warm colour: his father’s violin embellished with coloured ribbons on the wall of the village mill, the Bohemian musicians with their village music, the gypsy fiddlers, besides the Viennese influence of names like Johann Strauss, J . Lanner, C.M. Ziehrer, E. Waldteufel, J. Schrammel. At the age of eight, during the blitz of World War II`s final days , cycling cross- country to his first violin lesson, the ominous fanfares of the barracks of Leitmeritz already ringing in his ears. In his interpretations of Gustav Mahler’s symphonies, especially of the 1st symphony, Alois Springer describes all these impressions with touching musicality – the infinity of the Moravian lowlands (Introduction 1st movement) – the trumpet call of the barracks of Leitmeritz (1st movement; the Ländler/Folktune bass of the scherzo; the trivial fairground tunes, vulgar melodic “belching”, and circus-like melodies in the 3rd movement). 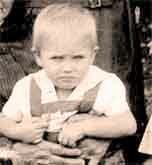 One year after his first violin lesson , a decisive experience: being driven out of Bohemia-Moravia, the Sudetenland. Although hardly started, this seemed to be the end of Alois Springer’s musical career. 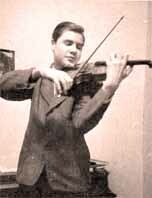 As a boy Alois Springer gives his first public performances as a soloist, with the violin concertos of J.S. Bach, A. Vivaldi, W.A. Mozart. 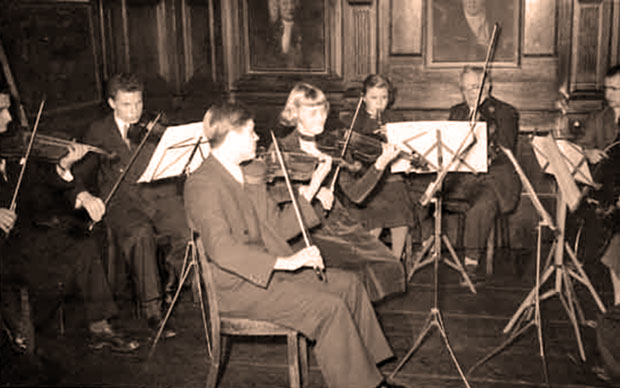 Heinz von Schumann takes the fourteen-year-old boy as a concertmaster, together with Prof. Karl Albrecht Hermann, his future teacher at the Academy of Music, into the Fulda Chamber Orchestra. Then an abrupt incision: out of economic necessity he starts an apprenticeship in a candle factory (Eikenscheidt). After three months, driven to despair by this, he jumps out of the window. His demand to his parents : termination of the apprenticeship, and being allowed to study music. The decision to become a conductor and to follow his concepts of sound and role models was born. Alois Springer took up conducting studies with Prof. Martin Stephanie in Wuppertal and in addition perfected his violin and piano playing to concert maturity under Hedi Gigler and Prof. Theobold. Henceforth he joined the great German conducting tradition of Arthur Nikisch, Bruno Walter, Furtwängler, his role models.